We are very proud to announce that our song “Decay” from the Avalon album is the official theme song for the main event of IMPACT Wrestling‘s Rebellion pay per view taking place on April 28, 2019 live from the Rebel Complex in Toronto, Ontario, Canada. The ad featuring our song is for the main event between Johnny IMPACT and Brian Cage for the IMPACT Wrestling World Heavyweight Championship, and will be shown on all TV as well as the PPV. Watch IMPACT Wrestling every Friday night at 10 PM EST on the Pursuit Channel and Twitch! Hear the song in its entirety at our BandCamp account! 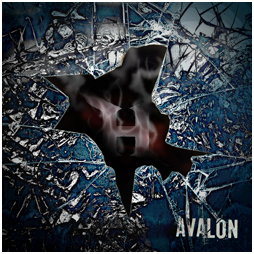 AVALON has turned a year old and what an incredible response we have had since unleashing it on the world! We have been so humbled by the incredible reviews and fan feedback from all over the world - Greece, UK, Serbia, Russia, Denmark, Mexico, Iceland - the list goes on, and we truly love and appreciate every last bit of it! Within the year we reached all new radio and video markets and continue to spread the word of AVALON thanks to all of you! Make sure you check out the videos for the singles from AVALON. The face that launched a thousand ships has finally come into the world! The motion picture release from RavensFilm Productions - The Fixer - which was responsible for the now decade long friendship between HEMI and RFP is now released. It is an incredible film that displays the true testament of dedication to one's craft. The film is now available on Special Edition DVD & Amazon Prime Video in the US & UK. All purchase links can be found at the Official Website. The DVD features REMASTERED collaborative music videos between HEMI and The Fixer as well as a featurette on the making of the original video, so, be sure to grab your copy today!